New city, new husband, new home and now…new job! It’s been a whirlwind month and a half since I officially made the move to Atlanta. I feel that as a newly married couple, Drew and I have already done so much. We’ve met a lot of wonderful people, and our circle of friends continues to grow now that we’re a part of a weekly small group with Grade Midtown. It’s exciting to hang out with other young married couples and begin making our mark on the big, often times overwhelming city of Atlanta. Being a newlywed obviously comes with a lot of changes–there are many things that have grabbed hold of my attention, unfortunately leaving my blog unattended to. I had a feeling that this would happen, and sooner rather than later. That being said, some truly great things have transpired within the past few weeks. 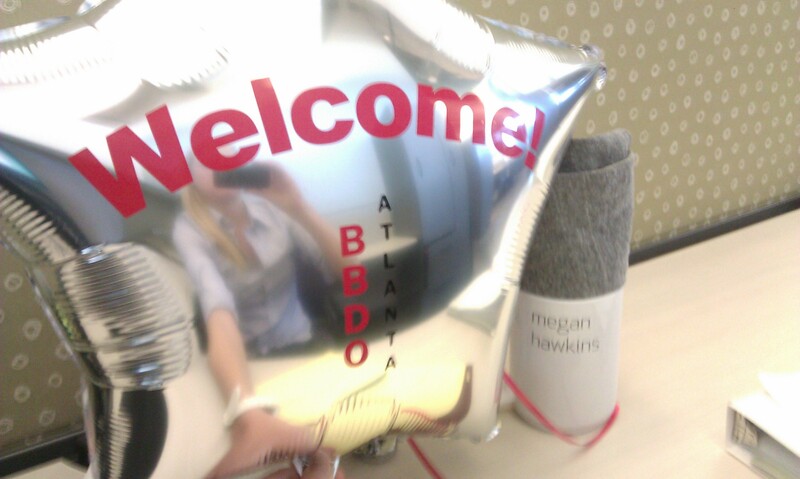 As of this past Monday, I became an employee at one of Atlanta’s largest Ad agencies, BBDO! My official, fancy-shmancy title is that of Digital Traffic Coordinator. It’s actually an interesting situation to be in; this role was recently created because the account team at BBDO saw a need for one sole person to be the gatekeeper, point-of-contact for their online digital trafficking needs. And that’s where I come in. Needless to say, I’m extremely new at the position and don’t have too much of a grasp just yet on exactly what my role will be comprised of. My three days at the office have been great; even though it’s not a traditional agency role, I’m just thankful to be a part of an agency that cranks out such amazing work. I’m delighted (probably a little too much) to have my own cubicle, a office access card key, and the 25¢ Diet Pepsi in the soda machine. I’m blessed to not only have found a job—and in a quite short time frame given the current state of the job market—but at an agency as great as BBDO. When I completed my internship with Imagewest during the first semester of my senior year at WKU, I knew that the agency environment is where I would best thrive, and where I truly wanted to end up in my career. Roughly four months after graduation, I’m there! As I embark on this new journey, I like to think that it will add another dynamic to The I Do Diaries. My previous posts have generally been about getting acclimated to a new city and navigating the ebbs and flows of married life in a huge, unfamiliar city. I fully intend to continue blogging about that kind of candid content that not only makes this blog fun to write, but also something I enjoy sharing with family, friends, fellow newlyweds and even strangers. I now can look forward to not only blogging about those things, but also about the days in the life of a new hire at BBDO. 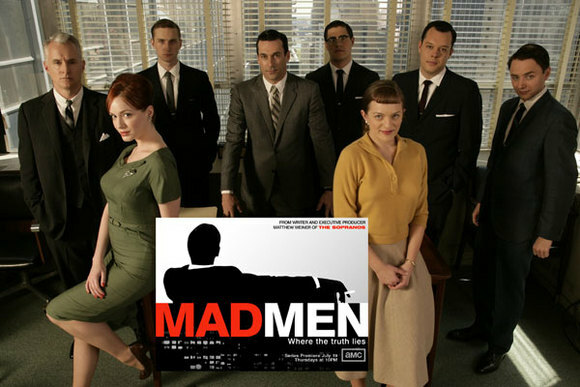 Should you expect Mad Men-esque recaps of bourbon drinking, bed hopping escapades? Probably definitely not. Drew and I started watching the show on Netflix several weeks ago and while we’ve quickly become addicted, we instantly knew it wasn’t exactly an accurate portrayal of the Ad world (at least not circa 2011). However, it’s a guilty pleasure of ours. I remember one of the episodes of Season 1 actually mentioned BBDO. It was around the same week I applied for the position I now have. Coincidence? Serendipity? Either way I think it’s safe to say I’ve ended up where I was meant to be. Megan, Way to go on you new job!!! I am so proud of you!! I loved reading your post!! I loved how you ended it, too. Jim and I have been thinking about you all week and hope that your first week has been off to a great start! Love you and I am very proud of you!